Whether you're looking for a unique look or just a regular television with a little color for your kids room or for the car, we have you covered below. These unique televisions would make great gifts for birthdays or Christmas. 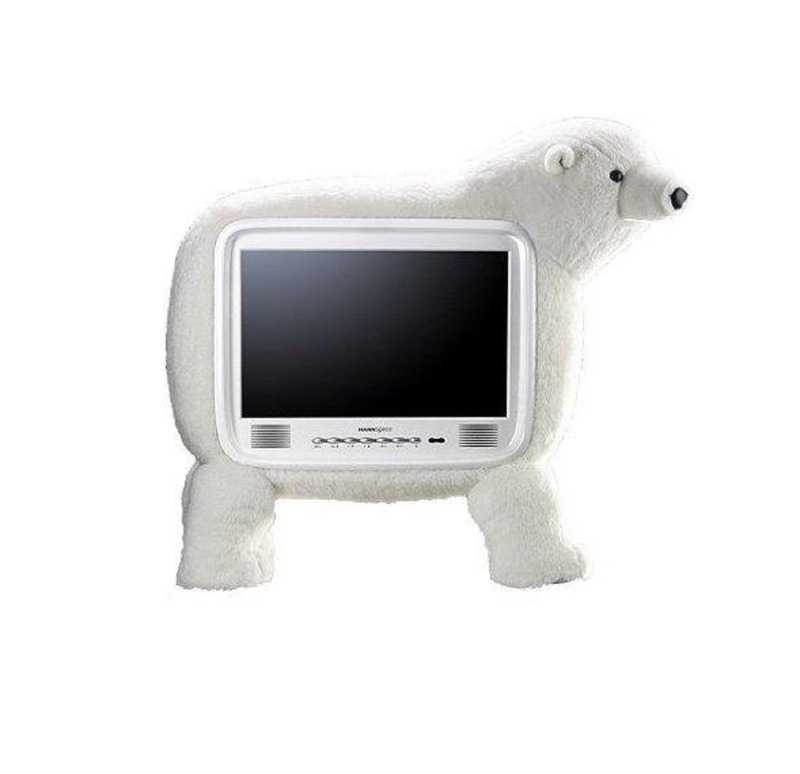 These amazing animal shaped televisions are such a cool way to add a little personality to your kids' rooms--they are like great big stuffed animals with tv's in their tummies. Any child would be thrilled to get this as a gift or to have in their own rooms to watch their own little shows and it's most definitely, a very unique television set. And don't let the title of the page fool you--they aren't just super cool gifts for kids---but kids of all ages. For those adult sports fans, there's ball shaped tvs and even adults love a little stuffed animal love as we get older, right? 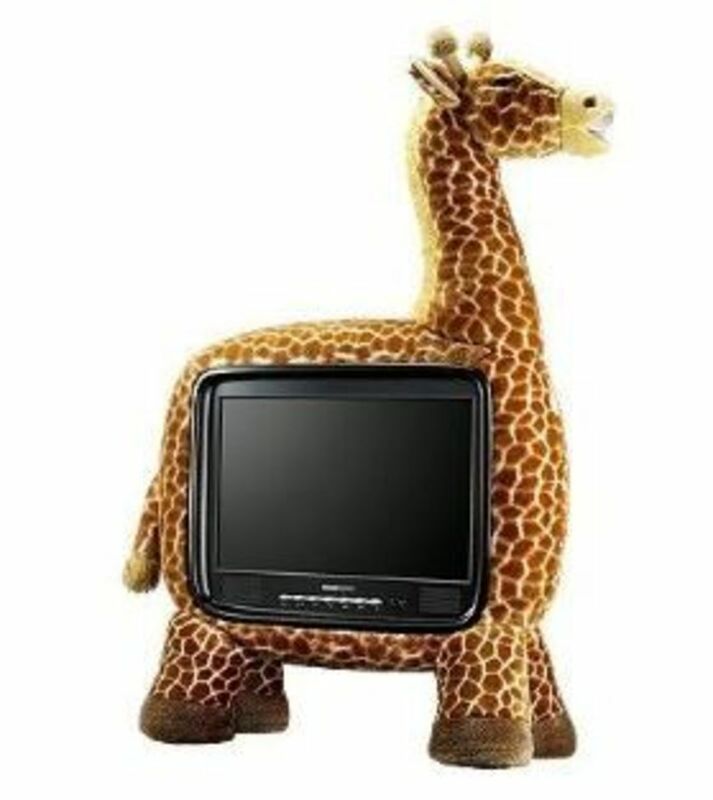 This giraffe shaped television is a must for any giraffe fan or for the giraffe or animal themed room in your home. Unique, cool, fun and decorative electronic. Adorable cow shaped televison---in white with brown patches. Smaller screen, but still big on cute! 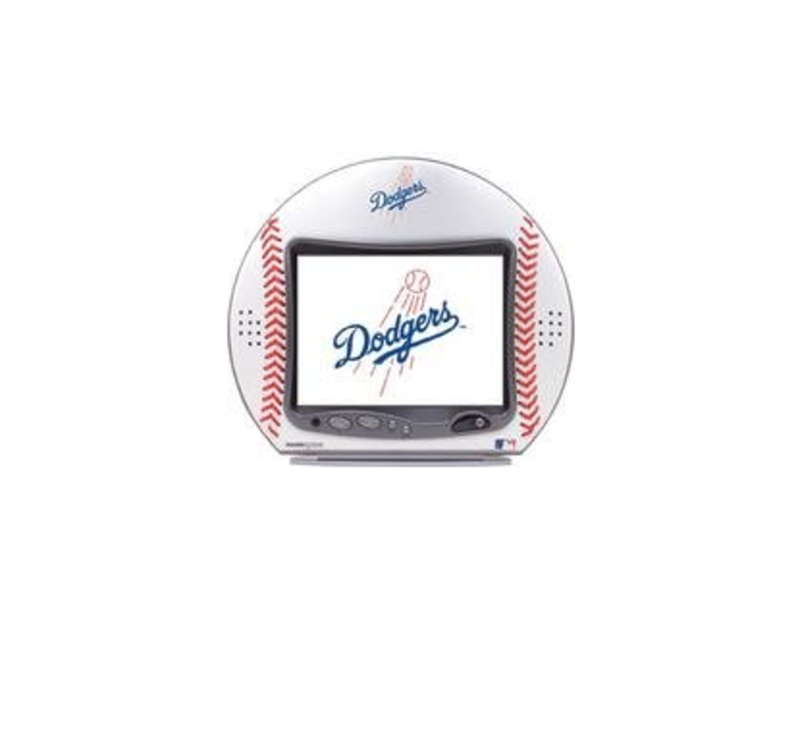 A tv shaped like a baseball, football or basketball--they aren't just for the kids! Unique and hard to find in the stores. 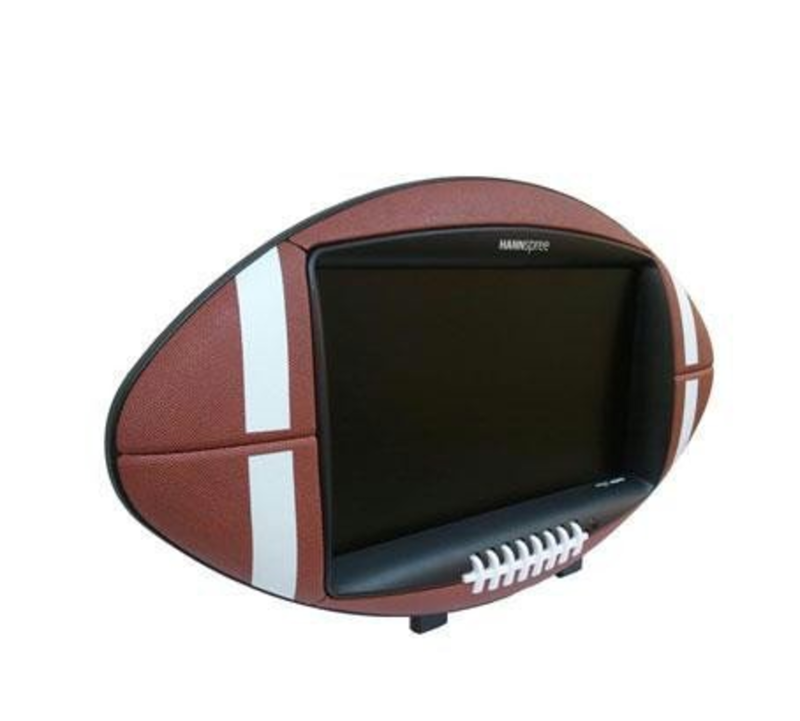 Cool tvs shaped like the most popular sports balls---baseball, football, basketball, soccer and much more. For Kids of all ages....makes a great gift for the sports fan in your life. 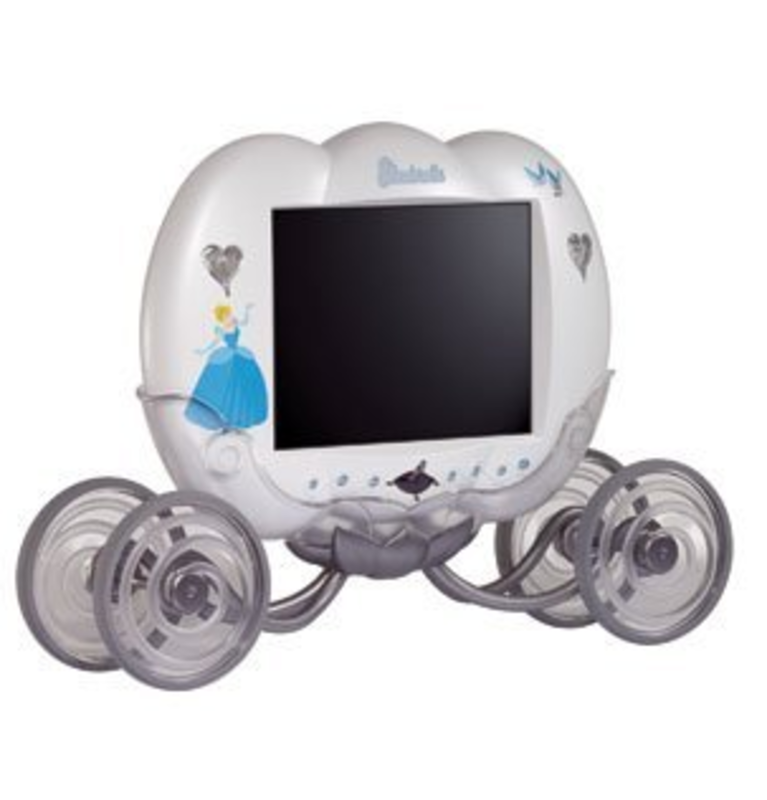 Hannspree's Dribbling 10-Inch LCD Television shaped like a soccer ball. The little girls will love this pink television set with the Disney princess theme topped with a cute tiara.....great for watching tv in her room and makes a cool décor accent for any princess themed room or Disney princess fan. Buying electronics can be boring but these fun looking television sets make it much more interesting. Even more unique and different is this carriage shaped tv for the little princess in your life. 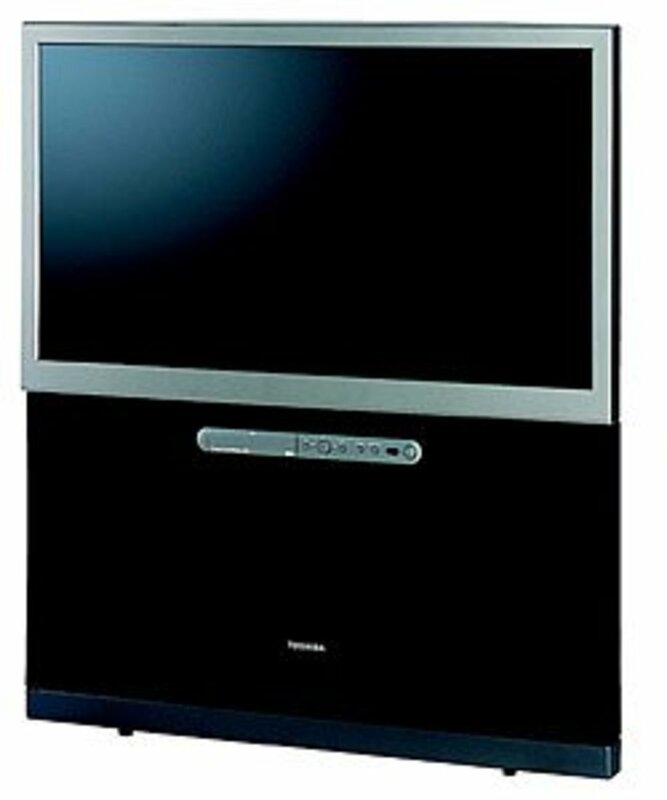 Lots of Hannah Montana fans out there --this television set is aimed to please those little ones. Thirteen inch tv with purple color scheme. Even more unique television sets for kids can be found on ebay. Just do a little digging and you'll probably find tv's you never dreamed existed! These are some really cool TVs! Oh wow these are so cool - the zebra, polar bear and giraffe are my favourites, so I guess I'm going to have to have three children as an excuse to have all of them haha! It stayed with both parents, too. 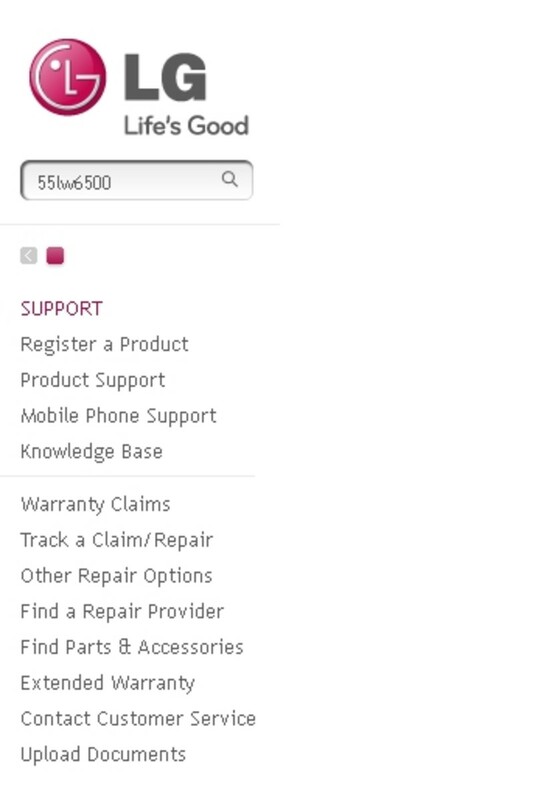 great lens, I can tell you put work into it. Really cute tv's! I didn't realize either how many different themed tv's you can get. Great lens! I've never seen tv's like these, and really enjoyed looking at all the different ones available! absolutely love this lens!! never knew these creative tv's even existed!!! These TVs are new to me and very interesting. Thanks for sharing. Very cool TVs, never seen anything like them before. Very quite TVs. A great collection as well. Great lens and a great read. Very well laid out too. wow I had never seen any like these before. Must have been walking around with my eyes closed. Cute collection, these are great for kids! How have I never seen these before? I want a cow TV! These are so cool. I'd never seen these before! Those are neat! I had no idea there were such crazy TVs out there. Some really nice TVs for kids. Well done! Beautiful televisions. Wow, nice and creative lens. 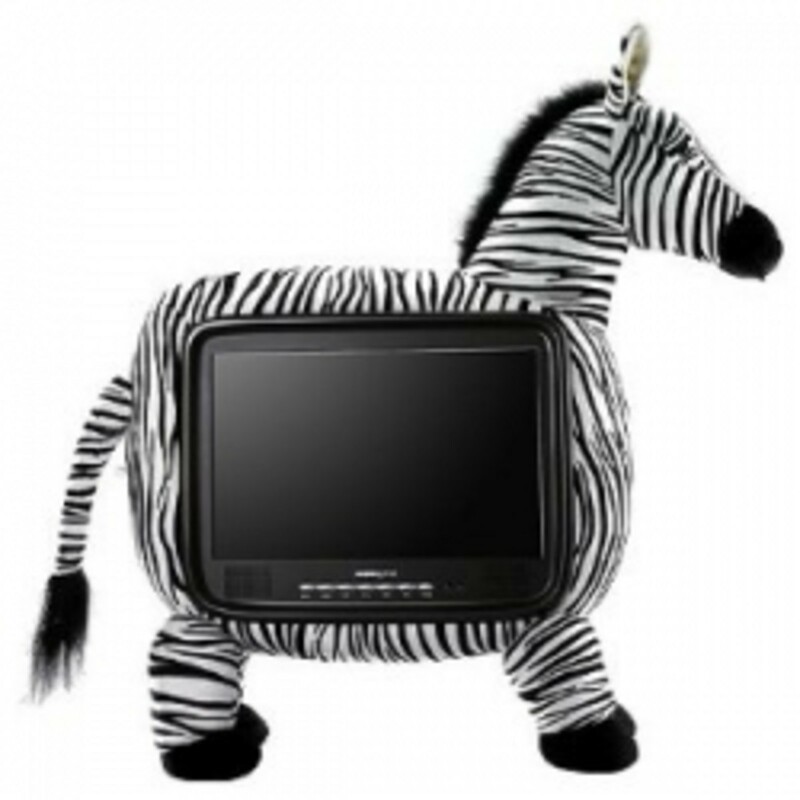 I just adore those televisions in the animal bodies! So cute!!!! These are super-cute TVs for kids. Well done! 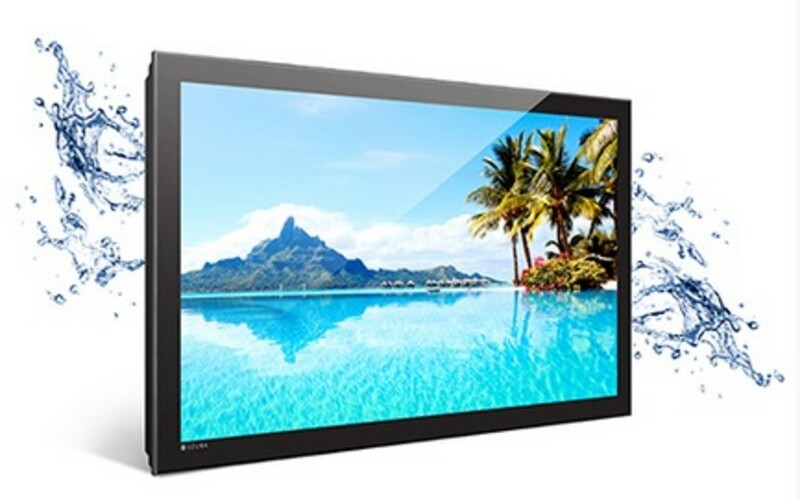 These are amazing televisions for kids. What a great idea! I like the cinderella's carriage shaped TV =) Great stuff. I've never seen these before! Excellent idea and great selection. These are awesome. I've seen the disney and Hannah Montana tvs, but never the stuffed animal ones. That would be a great addition to a play room. I love the Polar Bear tv! @wahponywoo2: I didn't know either; just ran across them doing some research. @odiicreative: Thanks for stopping in! @OhMe: Yeah, they are so unique. Thanks for dropping in! @sukkran trichy: Thanks for dropping in! Wow, these are such fun looking TVs for Kids. Hanspree is pretty good, I've no complaints so far. So many cute TV's to choose from! They would definietly make a great gift for Christmas! @norma-holt: Thanks so much; I just saw this! @KimGiancaterino: lol...Hi Kim; thanks for dropping by! @mlipskoch: Thanks for stopping over! Those TV's are cute, unique, and attractive! Kids would definitely love them! These could be really for anyone. They look really neat. These tv's are very cute. Great gift ideas - LOVE these designs! These TVs for kids are so imaginative and unique - never mind the kids, I want one! These are such cute TVs. I want one! what a cute idea! I like the giraffe! @Metalpriest: That's what I said when I found them accidentally. Wow! @FashionAndrea: Thanks for stopping in...I love the giraffe tv. @darciefrench lm: Thanks and thanks for stopping by! @Jawill: lol,thanks for checking them out! @norma-holt: Thank you so much; I appreciate the visit more than you know. @TolovajWordsmith: lol...I was wondering that myself earlier. @lilPinkfairy288: My nephew would love the cars tv too. Thanks for stopping in! @dellgirl: Unique! Thanks for stopping by; much appreciated!! @anonymous: Thanks; I wish I'd seen them when my daughter was younger! @LouisaDembul: So cute, aren't they! I didn't know they made tv's like these. I'm am lose for words other than, petty cool! These flat screen TVs look great. Are you sure they are for kids only? Hi these are super cute kids TVs. Blessed. Never seen such TVs. Wow! Great lens featuring great fun products. Never saw TV's like these before especially the animal ones. I didn't know they have this kind of TVs. My son would love to have the cars TV. Wow, you have showcased a lot of cute TVs for kids. I have never seen TVs like this either. Wow, these are really cute ... I'm definitely buying one of those for my daughter when she grows up a little. Nice lens! I had honestly never seen TVs like this before, they are awesome!